Broken vessels can appear all over the face, but especially around the nose. At Saluja Cosmetic and Laser Center, we use a variety of platforms to target the vessels. Often times for rosacea patients, we will use the Max G IPL. 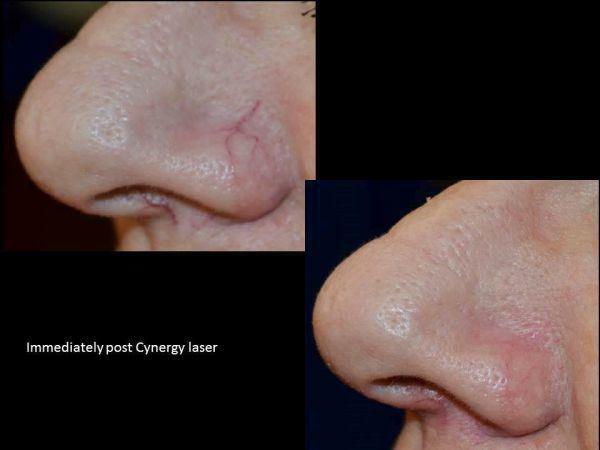 For larger, more stubborn vessels around the nose, we may use our Pulsed Dye Laser. Here is a Charlotte, North Carolina man treated with a pulsed dye laser.